Situated in a thriving neighbourhood, Passion Family Dental is committed to providing comprehensive, professional and state-of-the-art dental care to our patients. Passion Family Dental offers quality dental services to the residents of Murrumba Downs and surrounding areaa. One essential element of dental treatment is preventive care. Preventative dentistry helps you and your loved ones maintain good oral health by avoiding infections before they take hold in your mouth and cause various complications and pain. 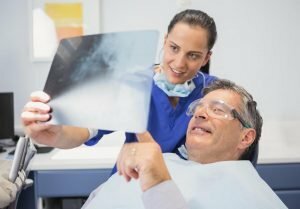 Consistent examinations including x-rays and professional teeth cleaning are the primary methods of preventive dentistry. The preventive care appointment you book with us will allow our dental team to screen your mouth and your teeth effectively, this way any issues can be easily rectified and monitored. General dental treatments help to treats and manage patient’s oral healthcare needs. Examinations are carried out to detect tooth decay as well as any possible gum or soft tissue disease. At Passion Family Dental, we deliver professional dental care in a comfortable atmosphere for the residents of Murrumba Downs. We assist you to achieve the best oral health. Cosmetic dentistry aims to improve and enhance your teeth and help create a confident, beautiful smile. Passion Family Dental will help you feel good about yourself. We offer a wide range of cosmetic dentistry treatments for you to choose from. When you visit us at Passion Family Dental, your smile will be restored with the quality products and services that we offer. Treatments such as fillings, crowns and veneers can be used to restore teeth that have been damaged through injury, decay or grinding. If you are in Murrumba Downs or the surrounding areas and are searching for a dentist nearby, Passion Family Dental is the place to be. If you have had an accident or are in pain and require urgent dental attention, we are always ready to help you overcome such unexpected circumstances. We focus on your convenience, offering free parking on site, as well as street parking. We are also wheelchair friendly!